Hey there. There's a lot of people that are going to be happy with the recent announcement from Universal Studios and Nintendo. 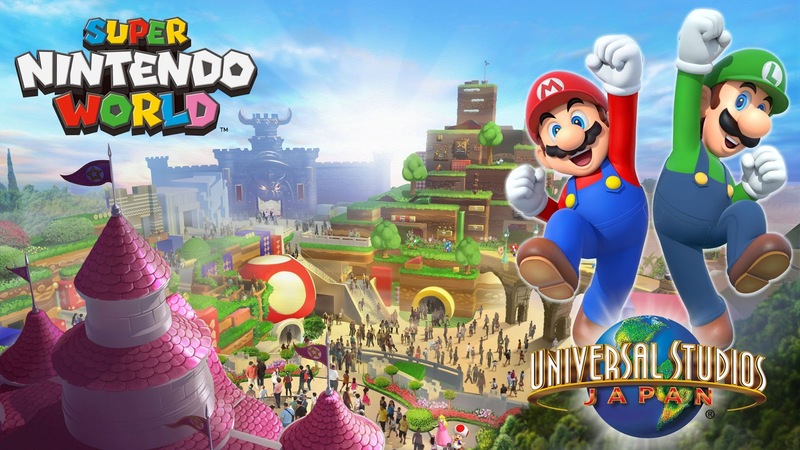 Now, we knew that last year, Nintendo and Universal Studios partnered up to provide their guests with some kind of Nintendo experiences at Universal Studios theme parks and resorts. We just didn't know what they had in store. Well... now we know! Ladies and gentlemen: SUPER NINTENDO WORLD!!! In a gist, it's going to offer rides and attractions based off of Nintendo games and characters. We don't know which ones just yet, and which Nintendo characters will be calling Super Nintendo World home, but based on the concept art, we can assume that the Super Mario franchise will be a big part of it. Mario and Luigi are predominant in the announcement, and you can also spot a toad house, Peach's castle, and what looks to be the entrance to Bowser's castle as well. Wouldn't be awesome if Super Nintendo World offered a Mario Kart race track?!?!?! But not only that, but actually allow guest to jump in a go kart and race Mario Kart style!!! AHHHH!!! Cannot hold in the excitement! Super Nintendo World is scheduled to be ready to go in 2020 and will debut in Japan. Just in time for the Olympics. Hmmm... Olympics... Japan... Nintendo... Do I sense a Nintendo themed Olympics coming in 2020!!! Mario did make an appearance at the end of the 2016 Rio Olympics to welcome everyone to Japan for the 2020 Olympic Summer Games. I would not put it past Japan to have Mario and the gang as official mascots for the games!!! How awesome would that be! Now... if only they would start building Super Nintendo World in the states... Especially here in California! So what do you guys think of the announcement? Let's chat about it in the comments! Later!